NBN Co has committed to improve its wholesale arrangement with retail services providers (RSPs) within three months. This comes after the Australian Competition and Consumer Commission (ACCC) gave NBN Co an interim access determination it was proposing to make. As a response, NBN Co offered a court-enforceable undertaking that will see it implement measures into its wholesale agreements. The proposed improvements include a $25 rebate payable to RSPs for every late connection and fault rectification. It will also introduce a new $25 rebate to RSPs for each missed appointment and NBN Co will simplify the process for RSPs to receive rebates and remove some conditions for claiming rebates. "The undertaking will improve the rebates that NBN Co pays to RSPs for not meeting its service level timeframes for connections, fixing faults and meeting scheduled appointments," ACCC chair Rod Sims said. "This will lead to improved NBN connections and fault services performance overall. "This could mean customers could receive rebates from RSPs or other benefits, such as providing a substitute service while a fault is being fixed." NBN Co said in a statement it is committed to working closely with retail service providers to improve customer experience. 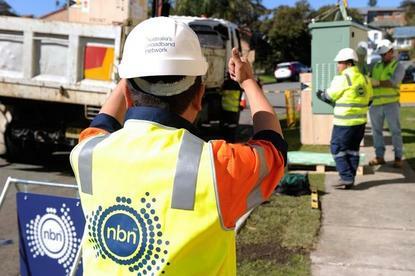 "NBN Co anticipates that retail service providers will take reasonable steps to ensure that affected homes and businesses receive (in monetary or other form) a fair value benefit of these rebates," NBN Co stated. "In addition, the undertaking also commits to enhancements to the reporting provided to retail service providers." The company behind the roll out of the national broadband network will also improve its reporting system to allow RSPs to track NBN Co's performance. NBN Co will add information about the level of congestion in its fixed wireless network to the customer experience dashboard that it publishes monthly. The undertaking is related to the ACCC inquiry into NBN wholesale service standards launched in November 2017 with the intent to determine whether NBN wholesale service standards are appropriate, and consider whether regulation is necessary to improve consumer experiences. "This undertaking by NBN Co addresses some of the issues highlighted in our inquiry, but there are still a range of complex matters to consider," Sims said. "We will continue to engage with industry and other stakeholders during the next phase of our inquiry."